Note Forest Park DR. Moh. Hatta was previously the location of Setia Mulya Botanical Garden which was inaugurated by the Vice President of the Republic of Indonesia, DR. Moh Hatta in 1955. At that time the management of this area is the responsibility of the Institute of Natural Sciences or now known as LIPI. In 1961 the management of the area was handed over to the West Sumatera Provincial Government and in 1981 the management was handed over to Andalas University. In 1984 the University of Andalas, the Government of West Sumatra together with the Minister of Forestry agreed to change the name of Setia Mulya Botanical Gardens into the Forest Park DR. Moh. 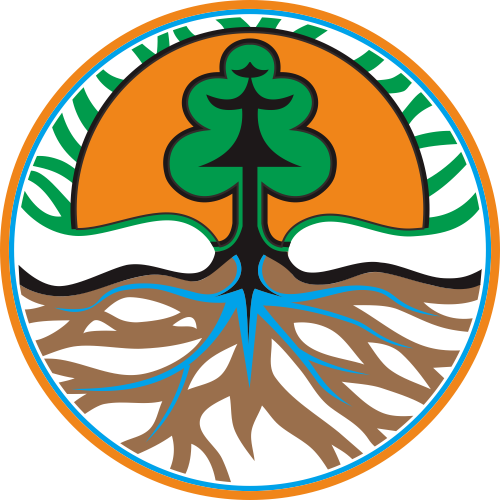 Hatta and its management are held by local government which is technically handled by West Sumatera Forestry Office. On January 31, 1991 the management of this area was handed over to the local government of Level II Municipality of Padang and then formed the Executive Board of Forest Management Park of DR. Moh. Hatta consisting of elements of local government level II municipal padang, university andalas, agencies and related agencies. This area is a ground water permeation area for the city of Padang. In general this area is a mountainous area and hills and is part of the ranks of Bukit Barisan that stretches from north to south. The dominating dominant soil consists of andesite, silt sand and clay sand which indicate that water permeation is slow to moderate, especially in the northern and southern areas of the Forest Park. Identification Kuini (mangifera indica), Ambacang (Mangifera foetida), Durian Dutch (Annona Muricata), Fruit Nona (Annona Reticula) Kenanga (Canangium Frusticosum), Banana (Polyalthia Oblonga), Xylopia Malayana, Alemanda (Alamanda Cathartica), Jeletung ( Dyera Costulta), Oleander (Nerium Oleander), Cambodia (Plumeieria Acuminata), Voacangan Foetida, Tin (Ilex Cymosa), Birth (Alocasia Macrrohiza), Flower carcass (Amorphophalus Campanulatus), Kaladi Ornamental (Caladium Bicolor), Juluak Antu ArthrRphyllum Diversifolium), Durian (Durio Zibethinus), Mandirawan (Hopea Mengarawan), Keruing (Dipterocarpus Bauddi), Wood Oil (Shorea Sumatrana), Fruit Series (Muntingia Calabura), Kemiri (Aleurites Moluccana), Antidesma Montanum, Aporusa Benthamiana, Bischofia Javanica , Clauxylon Polot, Euphorbia pulcherrima, Glochidion Obscurum, Mallotus Paniculatus, Cinnamomum Burmannii, Waru (Hibiscus Tilliaceus) and so on.